the results we hope to achieve. 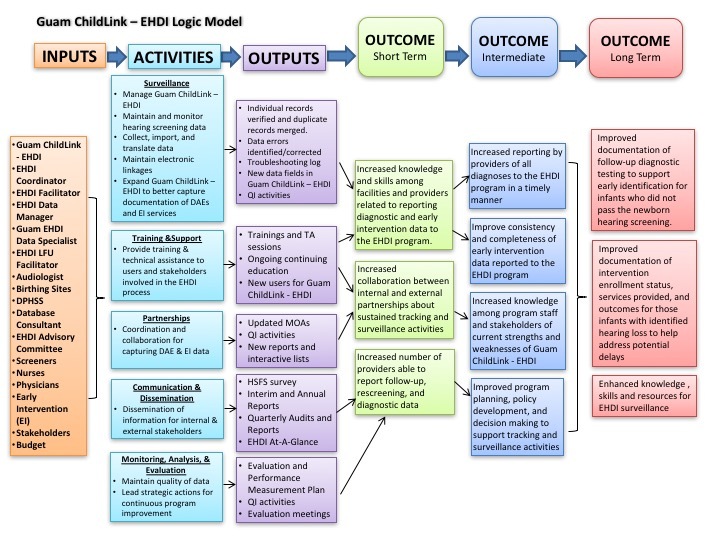 The inputs are the resources that go into Guam EHDI in order to achieve the activities successfully. The activities are the actual events or actions that take place as a part of Guam ChildLink – EHDI. The outputs are the direct products of program activities or immediate measures of what the program did. And the outcomes are the results of program operations or activities and the effects triggered by the program.